If Something Smells Funny, Remember What Day It Is : The Two-Way Google Nose lets you sniff "15M+ sentibytes" via your computer screen. Twttr is for those who only want to use consonants. YouTube closes until 2023 because it has enough videos already. Morning Edition profiles "Hootie and the Time Travelers." The foolishness has begun. 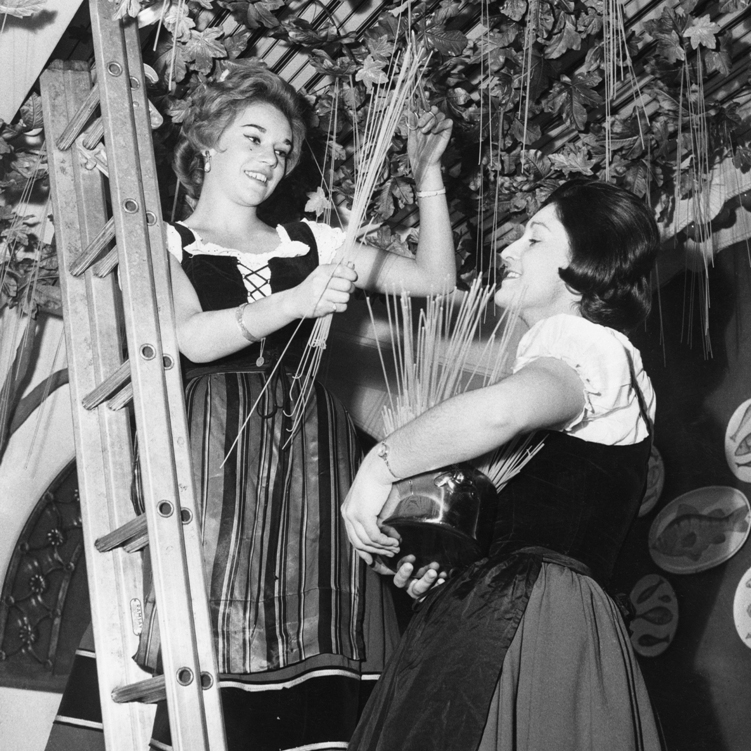 Spaghetti is "harvested" in 1961 from the ceiling of an Italian restaurant in London. A 1957 April Fools Day report by the BBC about spaghetti trees fooled many, and has been famous since. Google Nose was unveiled Monday morning. It's "the new scentsation in search." Just put your nose to the screen to sample "15M+ sentibytes." Google's also offering new options to its "I'm Feeling Lucky" button, including "I'm Feeling Wonderful" and "I'm Feeling Hungry." Twitter is out with "Twttr," a version that only lets you use consonants. YouTube is shutting down until 2023 because it "finally has enough videos" to select the best video of all time. The Guardian introduces "Guardian Goggles" — "augmented spectacles" that take you to a new universe. Morning Edition profiled "Hootie and the Time Travelers," a group of reenactors that celebrates the '90s. P&G rolls out Scope Bacon (a few days early, though, so maybe there's hope!). If you haven't looked at the calendar yet, trust us: it's April 1. And if you see or hear something that's really funny, please share it in the comments thread. Meanwhile, the Mirror rounds up the top 10 April Fools' Day pranks of all time. They include the BBC's classic spaghetti trees spoof. All Things Considered reported on the work of an oral history project to preserve the memory of military dolphins.